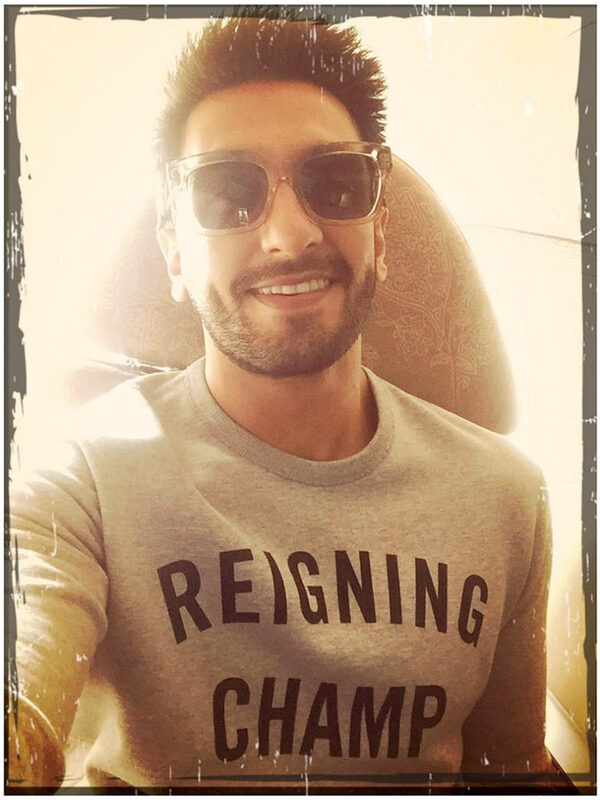 Ranveer Singh has started shooting for his big venture, Befikre, in Paris. Directed by Aditya Chopra under the Yash Raj Films banner, the film will also star Vaani Kapoor. 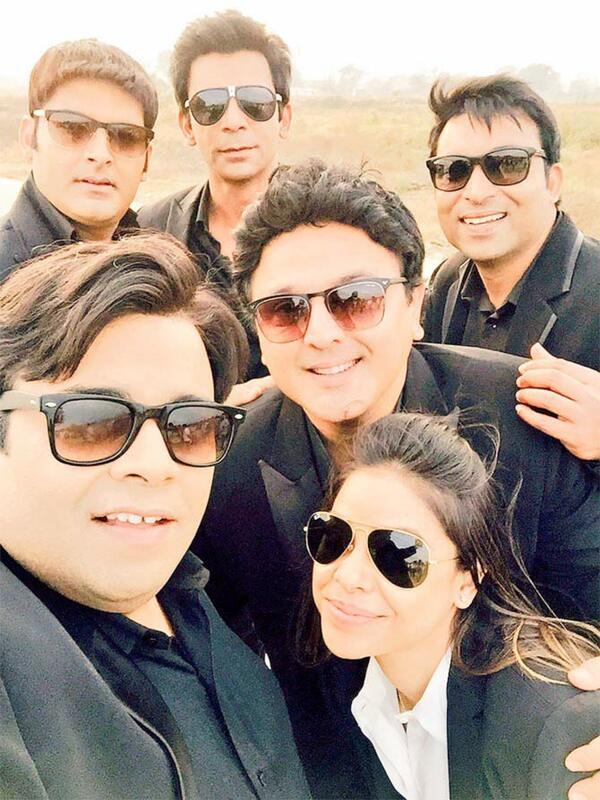 Kapil Sharma is all set to return to television with his new comedy show on Sony TV. Buzz is that Shah Rukh Khan will be the first guest on the show. After releasing the song Jabra Fan in Hindi, Shah Rukh Khan took to Twitter to release the anthem in Tamil, Punjab, Marathi, Guajarati, Bhojpuri, and Bengali. 'Sachin: Aila @sachin_rt Umpire kuch bhi kahe, mere liye toh u wil always b not-out! I am ur Fan. Jai Maharashtra!' he wrote. Directed by Maneesh Sharma, the film will release on April 15. Karan Singh Grover turns 34! 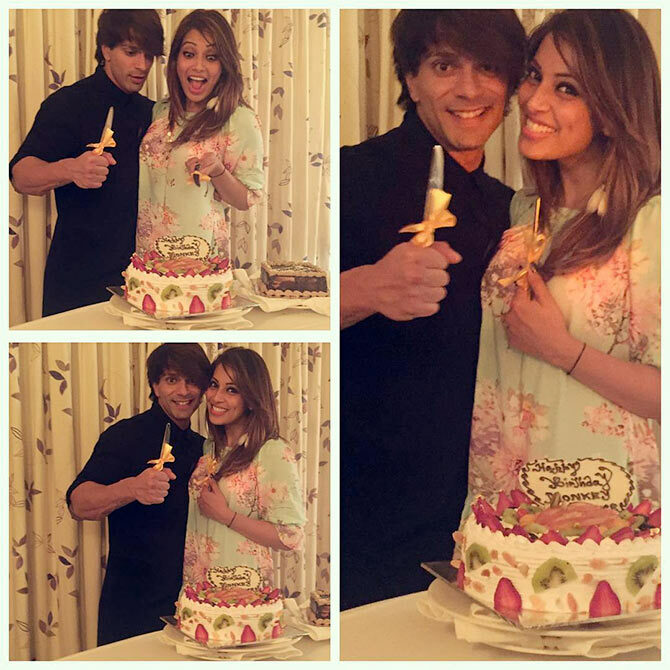 Actor Karan Singh Grover celebrates his birthday today, and his girlfriend Bipasha Basu shared some pictures from the celebrations, above. 'Happy Birthday @iamksgofficial ! Happiness happiness and more happiness for you forever. Stay the way you are:) Love love love,' she posted. 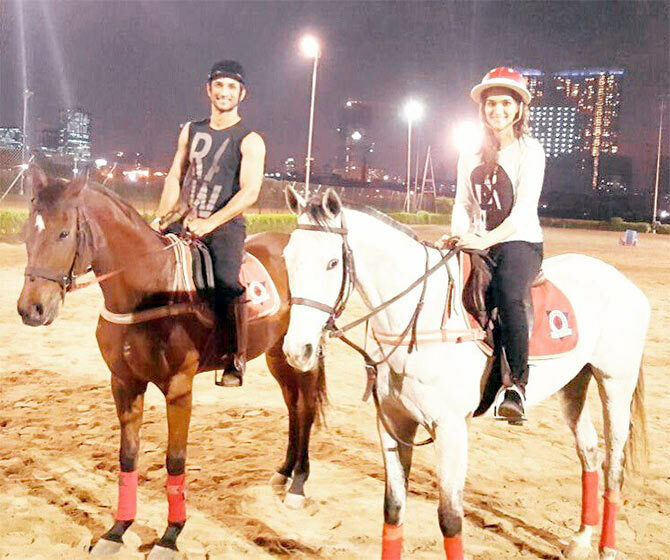 Sushant Singh Rajput and Kriti Sanon are busy training for their role in Raabta. The film will mark the directorial debut of Finding Fanny producer Dinesh Vijan. 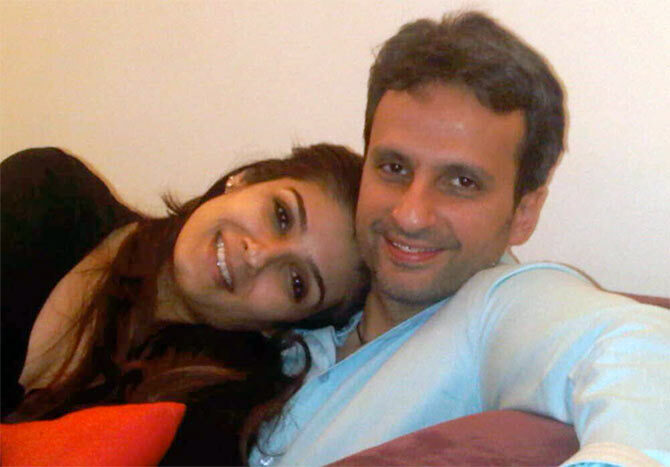 Raveena Tandon, who married businessman Anil Thadani in 2004, celebrated her 12th wedding anniversary on February 22. The film is being produced by Vipul Shah. After the party anthem Kar Gayi Chull, Dharma production is all set to release a romantic song called Bolna from Kapoor and Sons. The film will release on March 18. 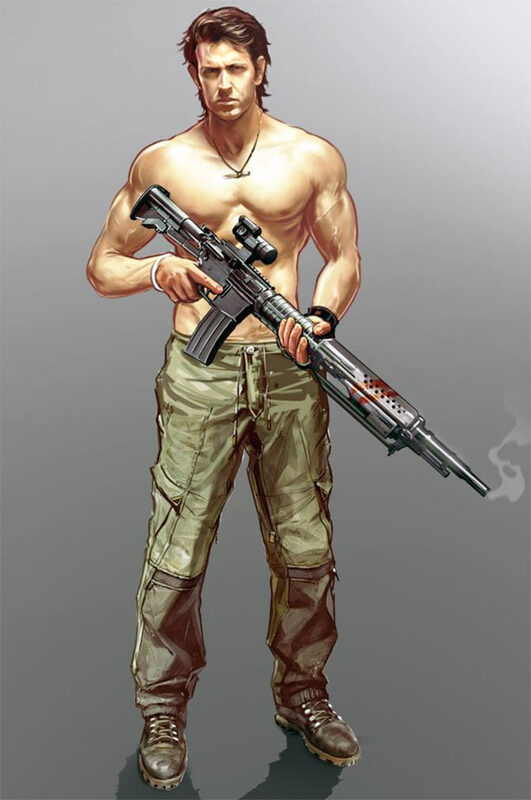 Hrithik Roshan has joined hands with a mobile gaming company to make games. 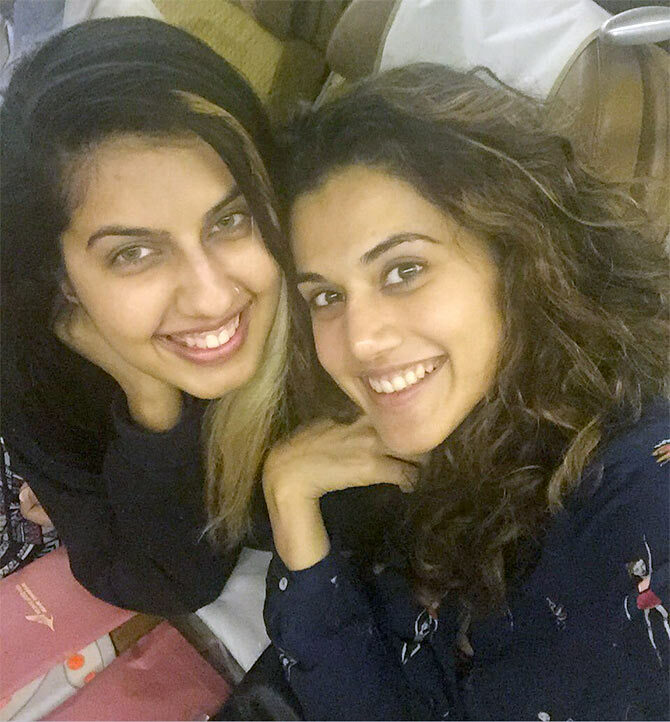 Actress Taapsee Pannu is holidaying in New York with her younger sister Shagun. Shagun, interestingly, is a Miss India finalist. The amazing Manoj Bajpayee, as never before!